Valentine’s Day is on Friday and it’s the season where just about every hotel chain, airline and credit card shopping portal teams up with the various flower companies for some pretty huge points earning potential. 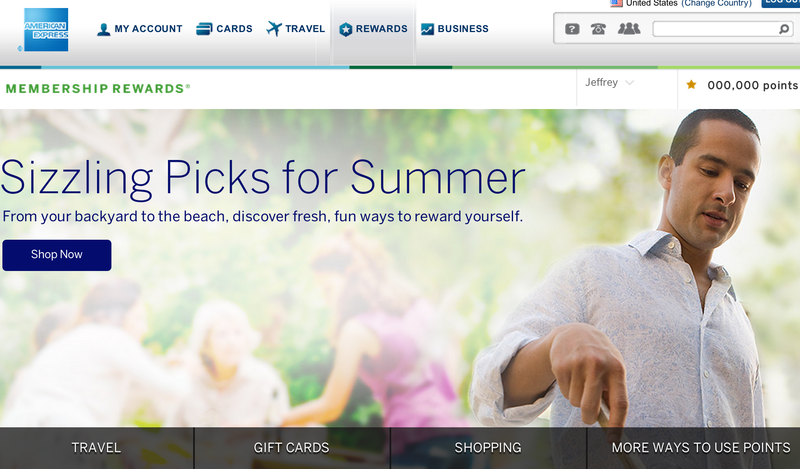 Always keep in mind that they can afford to pay out the large bonus miles/points because their markup is usually huge. For example, a dozen roses from one of the following companies will cost you around $39-$49 + tax + delivery fees whereas you can usually get the same dozen roses from a local florist or even just Costco for $10-$20 + tax! But, here are some ideas on how to make sure that you’re earning a ton of points while getting a gift for that special someone! Most of the deals below are for flowers but there are also a few promos at Godiva and Shari’s Berries if you’d prefer to go the chocolate route. “Member must provide the promotion code RR42 and Rapid Rewards account number to be eligible for offer. Member will receive 1,750 points on each eligible order of $29.99 or more.” Click here to order. 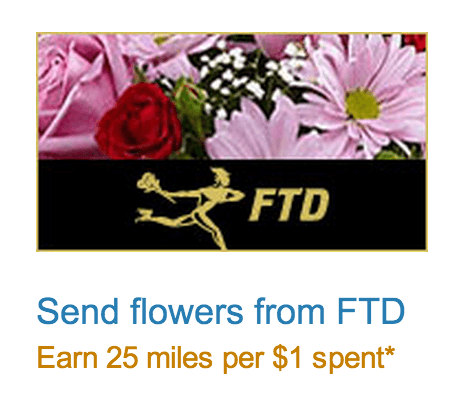 A dozen roses will cost you $39.99 + tax, fees etc… and net you 1,200 miles. Click here to order. 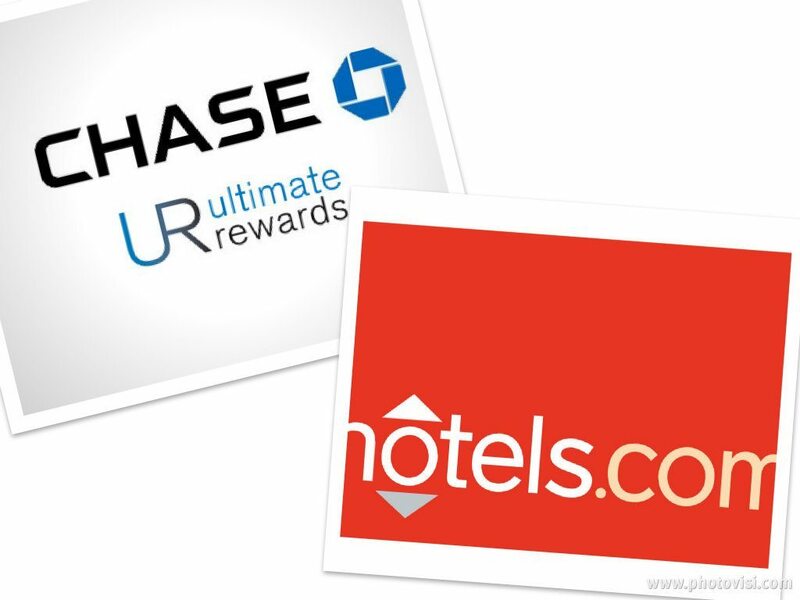 Head to the Chase Ultimate Rewards shopping portal to order. 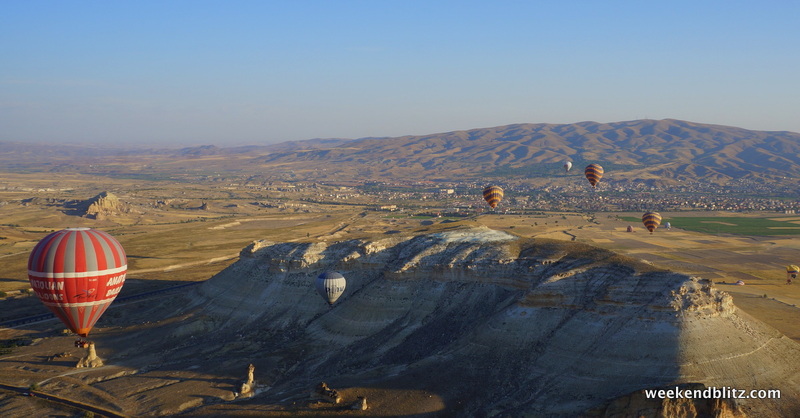 You can use this post as a guide (it uses Hotels.com as the vendor but it’s the same steps for any of the above vendors. Delta: Earn 35x SkyMiles per $1 spent + 500 bonus SkyMiles with FTD.com! Click here to order. A dozen roses will run you $49.99 and net 1,750 Delta SkyMiles. 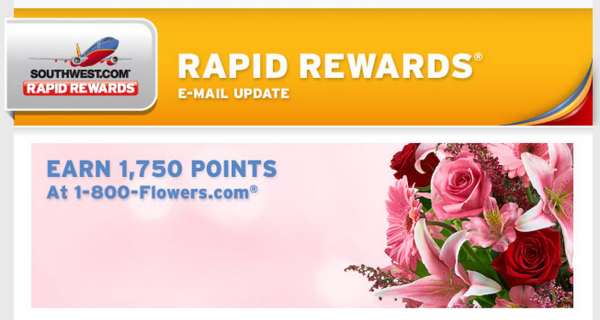 1-800-Flowers.com: 30x miles/dollar. Click here to order. FTD.com: 30x bonus AAMiles per dollar spent. Click here to order. JetBlue: 20x TrueBlue points/dollar spent at FTD.com. Click here to order. Marriott Rewards: Click here to order. 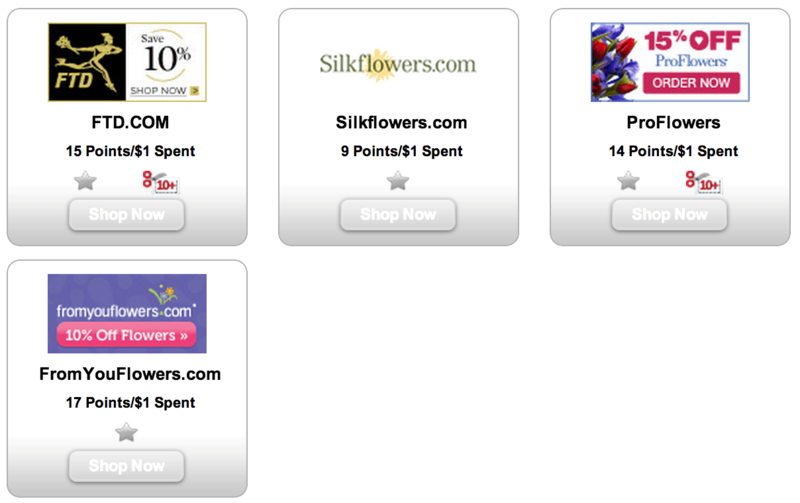 Hilton HHonors: 4x points at 1-800-Baskets.com and 5x + 15% off at Govida. Click here to order. BOTTOM LINE: There’s generally a pretty steep premium on ordering via online flower delivery service vs buying from a local store, but, for those far from home on Valentine’s Day, this might be your only choice. I’d personally do the 30x points at United or 35x points with Delta.